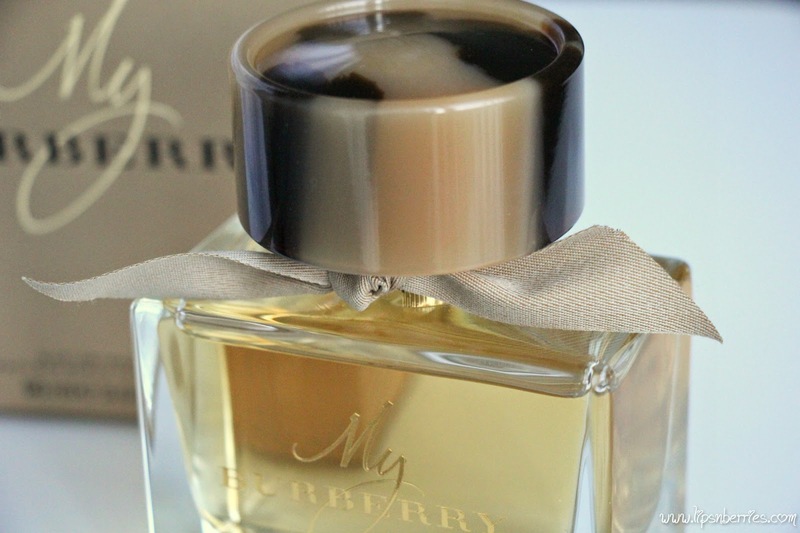 Burberry 'My Burberry' EDP Review! | LIPS n BERRIES! It’s here! 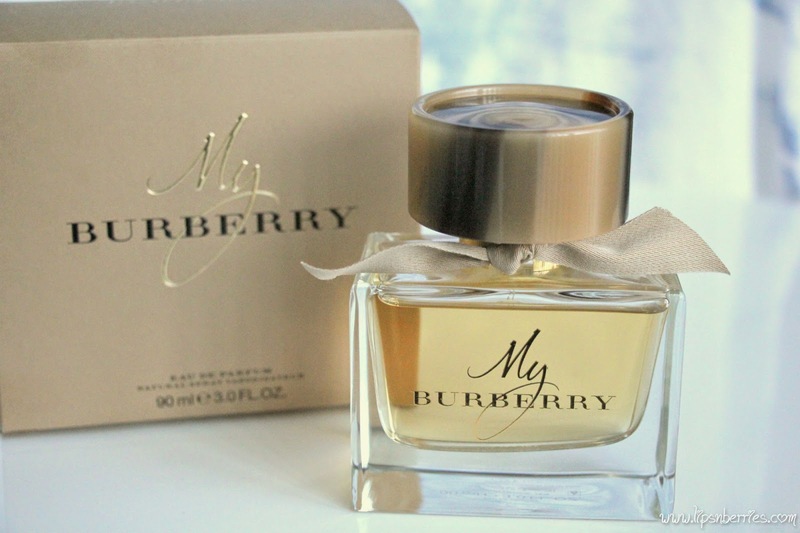 The much awaited new scent by Burberry- ‘My Burberry’* is finally here. Created by Ace perfumer Francis Kurkijdan, inspired by the iconic Burberry trench coat and a wet English garden after rain. The honey-beige bottle symbolizes the hues of a trench coat. The tortoise shell ‘button’ stopper symbolizes the buttons of a trench coat. That ribbon you see on the neck is the fabric ‘Gabardine’, the weatherproof fabric invented & patented by Thomas Burberry in 1879. A century later, there are thousands of imitations but a classic shall always remain so. 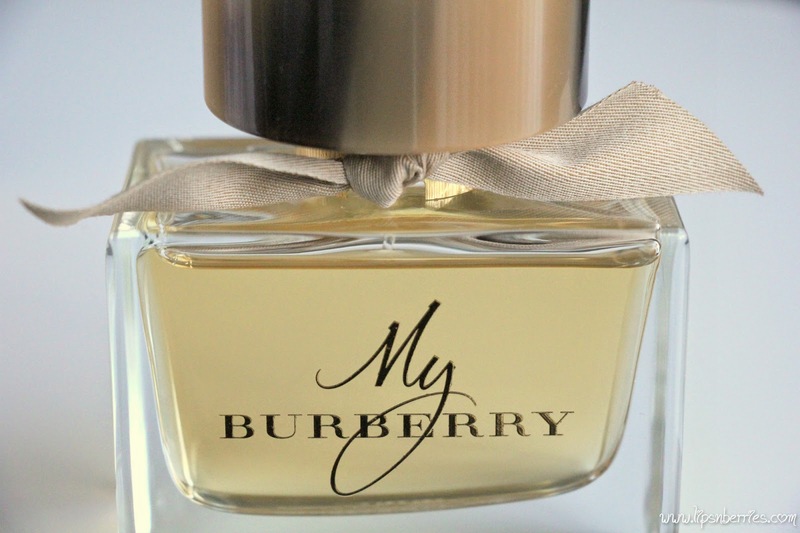 ‘My Burberry’ is that iconic ‘Trench coat in a bottle’. 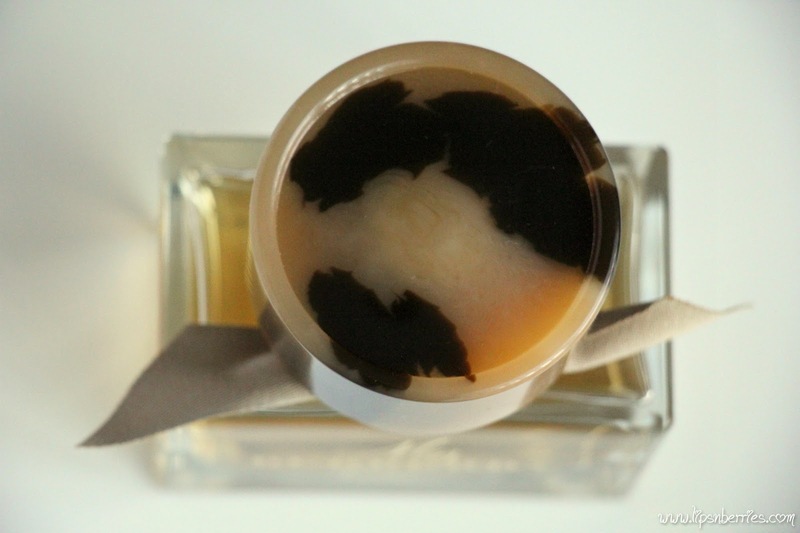 The fragrance housed inside is inspired by a lush urban English garden after the rain. The moisture in the air, the earthiness, the various scents that soothe the senses and the sheer beauty of it all. 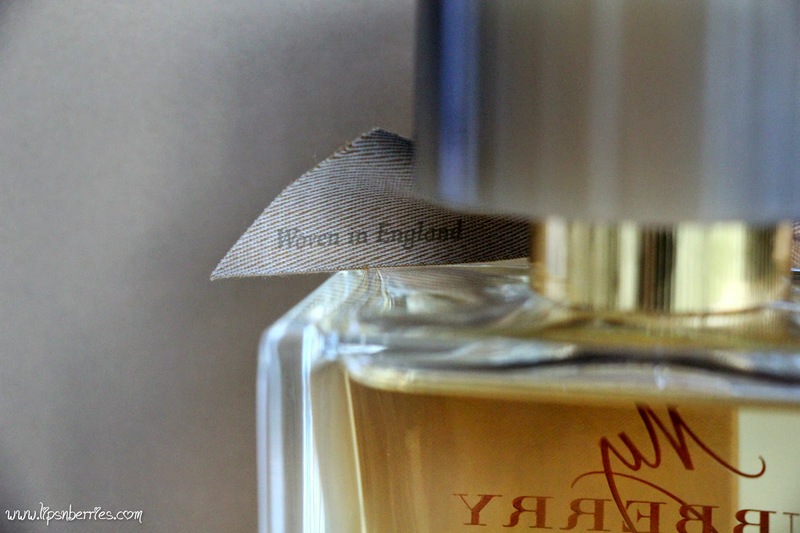 The notes include Bergamot, Sweet pea, Geranium, Golden quince, Freesia, Patchouli and Rose! - The bottle- heavy but pretty! - Appreciate that iconic piece of fabric on the bottle neck. This is perhaps the closest I’ll get to owning that trench coat. Sigh! - My first thought reading the notes. Yay Rose! I’m obsessed with anything Rose-y! - Second thought after putting it on – Whoa!! It’s way different from Burberry ‘Brit’! Different & better. Burberry ‘Brit’ is too powdery and just disappears on me. - After I have it on me for 4 days straight – It’s peppery, sensual, a bit of floral & certainly not fruity. ‘Spicy with a floral twist’ will sound about right. It’s quite an interesting scent. - Not heavy. I've been wearing it to work and can do so on a night out as well. - It’s very different from what I usually opt for (think Viva La Juicy, Lancome’s La Vie Est Belle, V&R Flowerbomb). Not girly fun types but sensual & elegant. Chanel Mademoiselle is an all together different league though. Verdict: It’s worth a whiff, quite a complex & interesting scent. Might smell floral initially, but dies down peppery. Sensual & elegant. Oh it has rose too! Available in various sizes - 30, 50, 90, 900 ml. A whooping 900 mL!! What do you do with that? Drink it up? Did it interest you? Whats your absolute fav perfume? *PR Sample. My views are honest as always.